AZoNano - Nanotechnology information portal. Carbon Nanotube (Wikipedia) - Carbon nanotubes are cylindrical carbon molecules with properties that make them potentially useful in extremely small scale electronic and mechanical applications. They exhibit unusual strength and unique electrical properties, and are efficient conductors of heat. Inorganic nanotubes have also been synthesized. Center for Nanoscale Science and Technology (CNST) - Supports the U.S. nanotechnology enterprise from discovery to production by providing industry, academia, NIST, and other government agencies with access to world-class nanoscale measurement and fabrication methods and technology. The CNST is the only national nanocenter with a focus on commerce. Foresight Institute - Nonprofit educational foundation focusing on molecular nanotechnology: the coming ability to build materials and products with atomic precision. IBM Research - Nanotechnology - IBM Research teams are at work on projects on the tiniest scale, exploring the manipulation of materials and even data at the atomic level. These tiny marvels are bringing new advances for fields such as computer storage technology. Nanospot - Search engine for searching nanotechnology sites on the web. Nanoscience and Nanotechnology - A joint study of The Royal Society and The Royal Academy of Engineering. Nanotechnology - Institute of Physics (IOP) journal. Nanotechnology is taken here to include all those technologies and enabling technologies associated with either the top-down approach to fabricating miniature elements by sculpting the desired structure from a macroscopic piece of material, as well as the bottom-up approach of building the desired structure atom by atom or molecule by molecule. Nanotechnology Companies - Features news on the latest regulations, research and educational initiatives dealing with nanotechnology. Nanovip operates a free press release service for nanotechnology labs and firms to communicate the latest industry news. Nanotechnology Development at Sandia National Laboratories - National Security Laboratory that uses science and technology to achieve its missions. Sandia already has used ion-implantation techniques to create lightweight aluminum composites that are as strong and durable as the best steel available. Nanostructured semiconductor materials created at Sandia may enable highly efficient, low power lasers for high-speed optical communications. Biosensors that use molecular bundles similar to those found in living cells are being created that could warn people when traces of a chemical or biological warfare agents are detected. Nanotechnology Industries - Comprehensive links, resources, newsletter. Nanotechnology Now - Nanotechnology portal with introduction, basics, news and information. Covering nanoscale and future sciences such as molecular manufacturing, nanomedicine, and BioMEMS. Nanotechnology White Papers - White papers covering such diverse fields such as nanotechnology, MEMS (microelectromechanical systems), molecular scale manufacturing, nanobiotechnology, nanoelectronics, nanofabrication, molecular nanoscience, molecular nanotechnology, nanomedicines, computational nanotechnology, biomedical nanotechnology, artificial intelligence, extropy, transhumanism, and singularity. NanoTechWire - Nanotechnology resources and research. Nanotubes and Buckyballs - Nanotechnology Now article and related resources. Nanotube Site - Maybe the most significant spin-off product of fullerene research, leading to the discovery of the C60 buckyball by the 1996 Nobel Prize laureates Robert F. Curl, Harold W. Kroto, and Richard E. Smalley, are nanotubes based on carbon or other elements. These systems consist of graphitic layers seamlessly wrapped to cylinders. With only a few nano-meters in diameter, yet (presently) up to a milli-meter long, the length-to-width aspect ratio is extremely high. A truly molecular nature is unprecedented for macroscopic devices of this size. Accordingly, the number of both specialized and large-scale applications is growing constantly. The primary purpose of The Nanotube Site is to facilitate the exchange of ideas among researchers by concentrating links to sites dedicated to nanotubes. One of the benefits is to provide an easier (or better structured) electronic access to bibliographical information and preprints. Information about providers of nanotubes is intended to increase the production volume and find new applications for nanotubes. 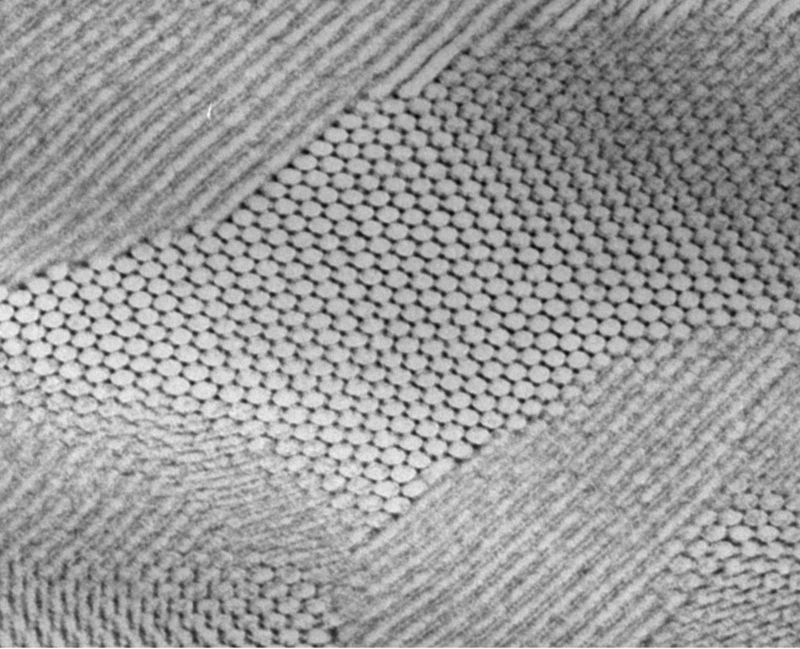 Nanotubes: Superhard, Superstrong, Super Useful - Berkeley Lab Research Review article, Fall 2001: Alex Zettl makes the most incredible devices you'll never see - at least not without the aid of an electron microscope. Zettl, a physicist who holds a joint appointment with Berkeley Lab's Materials Sciences Division (MSD) and the Physics Department of the University of California at Berkeley, has led the creation of what may be the world's smallest human-made bearings and mechanical switches, the world's smallest room-temperature diodes, and a "tube cube" electronic device with the potential to wire itself. These devices have been fashioned from hollow tubular macromolecules only a few nanometers (billionths of a meter) in diameter. Such macromolecules are called nanotubes and they have emerged as premier building blocks for the coming age of nanotechnology. NASA Ames Research Center - Researchers at NAS can run classical atomistic simulations and quantum molecular dynamics simulations involving large numbers of atoms. By simulating systems of 1000 atoms or more, it is possible to investigate the behavior of light-weight, high-strength materials for structural applications, nanoelectronics for future information technology hardware, and nanoscale sensors, actuators, and motors. 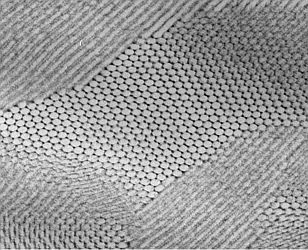 Using these techniques, NAS researchers have demonstrated the feasibility of nanotechnology devices never before conceived, such as transistors made from carbon nanotube-based three-terminal junctions, and high-density memory devices made from silicon, graphite, or diamond surfaces with nano-hole indentations. National Nanotechnology Initiative (NNI) - The NNI serves as the central point of communication, cooperation, and collaboration for all Federal agencies engaged in nanotechnology research, bringing together the expertise needed to advance this broad and complex field. Also see NNI reports provided by National Science Foundation. NCnano (Northern California Nanotechnology Initiative) - A regional economic development program committed to building the world's leading nanotechnology cluster in Northern California. Phys.org: Nanotechnology - Nanotechnology news channel. Ralph C. Merkle's Nanotechnology Web Site - Nanotechnology resources and links. This webpage last updated on Saturday, October 29, 2016 8:19 AM.